The iconic front man of The Smiths, Morrissey is widely credited as a seminal figure in the emergence of indie rock and Britpop. The Smiths emerged from the British independent music scene in the 1980s and Morrissey led the band to 15 studio, live and compilation albums in their short five years together. After The Smiths disbanded, Morrissey launched a prolific solo career that included 49 singles and 12 solo top 10 albums, three of them landing at No. 1 on the UK charts. 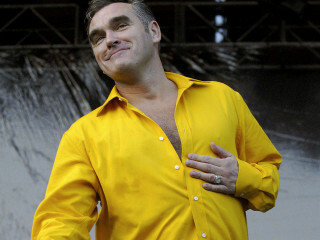 Morrissey comes back to Dallas in support of his new album, California Son.